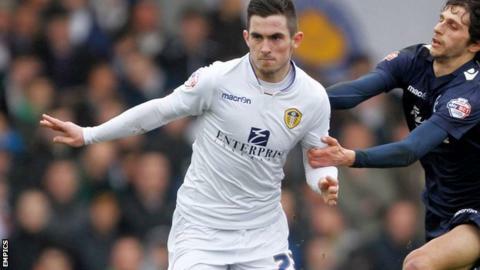 Leeds United midfielder Lewis Cook has signed a new two-year deal. The 18-year-old made 38 appearances for the Elland Road side this season after making his debut in the opening day defeat by Millwall. The England Under-20 international's new contract will keep him at the club until the end of the 2016-17 season. Chairman Massimo Cellino told the club website: "Lewis Cook deserves his new contract, he was one of the most exciting players last season. He added: "I knew we had a wonderful talent when I first saw him in the summer. At first, I thought he was much older than he was. He plays like he has lots of experience.